Trevor Knight, the 2014 Sugar Bowl MVP, transferred to Texas A&M for his final season of college football, where he threw 19 touchdowns and rushed for 10 touchdowns. He signed with the Arizona Cardinals as an undrafted free agent in May 2017, and is currently on the Atlanta Falcons practice squad. 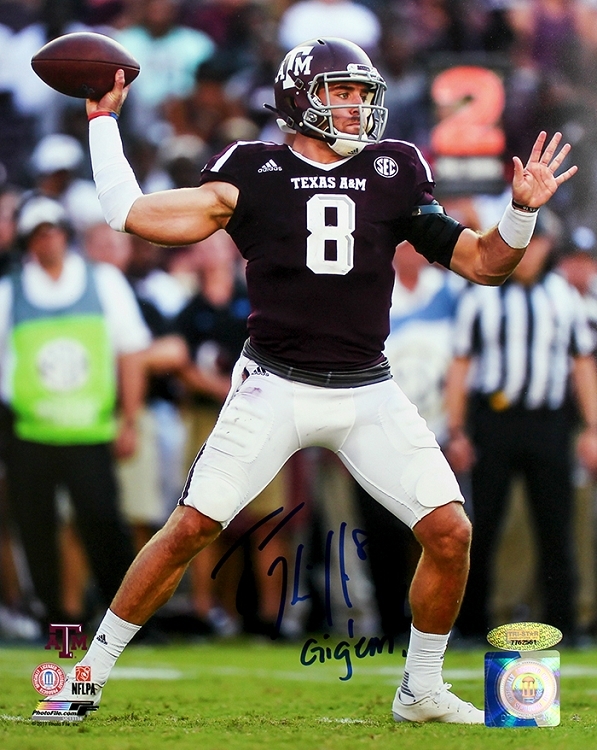 This Texas A&M Aggies 8x10 photo has been hand signed by Trevor Knight. Each autographed photo includes authentication from TRISTAR Productions.